There are many aspects of adult health to be mindful of as a woman ages; but many women don’t realize that their hormonal balance involves more than just their changing estrogen supply. For instance, what does low testosterone mean in females, especially after menopause occurs? If you are like many women of a certain age, you have probably given no thought at all to the effect that your body’s changing testosterone levels could have on your continuing healthfulness. Why would you? Isn’t low testosterone strictly a men’s health issue? Many women are surprised to learn that although the bodies of females produce an amount of testosterone that is proportionately much less than their male counterparts produce, it is still a hormone that is essential to their continuing vitality. Keeping testosterone levels properly balanced is critical to sustaining female wellness; the development of levels that are either too high or too low can result in the associated development of troubling symptoms that are often detrimental to health. So in regard to those symptoms, what does low testosterone mean in females? It can easily mean having the following symptoms, which are frequently and wrongly assumed to be attributable to some other cause. By the way, they are very similar to the symptoms that men with Low T levels experience. Medically prescribed testosterone replacement therapy (TRT) is no longer just for men; as women in the US continue to gain awareness about how their health can be affected by Low T levels, more of them are being treated for this condition every year. Doctors now know that women need to sustain healthy balance in their levels of estrogen, progesterone and testosterone in order to remain healthy, strong and vital throughout their adult years. If you have developed any of the symptoms listed above, then having Low T testing is probably a wise decision for you to make. How Can Women Raise Their Low Testosterone Levels? As in all biological functions, making healthy lifestyle choices can help your body to maintain beneficial hormonal balance. Getting adequate exercise; eating the right foods; not smoking; using alcohol in moderation; these are all things that can enhance your body’s ability to continue producing adequate amounts of the critical hormones it needs. Yet even women who consistently employ these healthy practices can develop a symptomatic testosterone deficiency through no fault of their own. Women with Low T symptoms respond just as well as men to the use of a doctor prescribed TRT program. So what does low testosterone mean in females that don’t receive treatment? Unfortunately, it usually means that their symptoms will persist and very possibly become more pronounced as time goes on. Just as in men, the only medically proven means of increasing an adult’s declining male hormone supply is through the bio-identical replacement of it. This can be achieved through the use of either a topically applied form of treatment or an injectable form. Many hormone replacement doctors favor the injectable forms since it allows for greater dosage precision, which is an important factor in using TRT successfully – for both men and women. Even if a woman doesn’t intend to explore using testosterone replacement therapy, getting tested when its common symptoms are present is a valid health decision because it allows the doctor to provide attribution for those symptoms. If a deficiency is not detected, then at least the doctor and patient can decide if getting tested for other possible causes of symptoms. 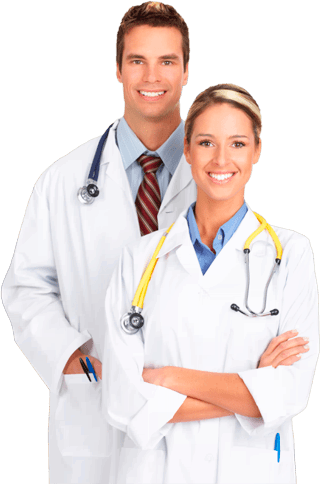 One of today’s most efficient ways for all adults, both men and women, who have been experiencing Low T symptoms to get tested for deficiency is by using a fully licensed online TRT medical provider, like Nexel Medical, that can arrange to have the appropriate clinical testing performed locally for you. As an online provider with nationwide coverage, Nexel Medical provides locally based Low T testing and treatment for adult males and females living everywhere in the US. We have made it easier than ever for adults to access our efficient and very convenient diagnostic procedures online through our website as well as by phoning us at the toll-free number that is listed on our website. And women who simply want to learn more about what does low testosterone mean in females are always welcome to contact us and speak directly with one of our helpful and experienced TRT clinical advisors. Did you know that there are a number of foods that kill testosterone? Is Testosterone Deficiency Treatment Safe for Females to Use? In terms of its long-term safety, what does low testosterone mean in females who decide to pursue the use of a medically prescribed TRT program? Have their been any risks to health that have been associated with it ongoing use? 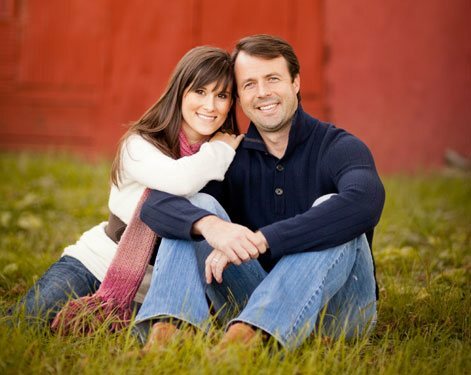 These are among the most frequently asked questions that women have about using bio-identical hormone treatments to balance and sustain their male hormone levels. Throughout the evolution of testosterone replacement therapy, it has continually become safer for adults to use. The diagnostic blood levels testing procedures have become more clinically sophisticated and precise; the bio-identical treatment products are continually being refined and additional forms of them have become available to patients; and doctors have now had more than five decades to study and evaluate the results of these programs. For the treatment of adult women, much smaller dosages of treatment than those that are prescribed for men are utilized in both restoring and maintaining a woman’s testosterone levels. Injectable testosterone is what the majority of hormone replacement therapy doctors prescribe for their female patients – and actually, the injectable form of treatment is also widely preferred by these doctors for their male patients, as well – because of its consistent record of yielding the desired results with minimal risk for adverse effects. So yes, TRT is safe for women to use as long as their treatment is being medically prescribed and supervised by a physician with specific experience in utilizing testosterone replacement therapy for female patients. Now that we have explained the basics about what does low testosterone mean in females, you may have further questions in regard to your own possible use of TRT. We encourage any woman who has additional questions on this important and timely health topic to contact us at Nexel Medical for factual and pertinent answers.